More than merely another book extolling the benefits of setting goals … Power Goals is really a how-to guide, workbook, and success system all rolled into one. 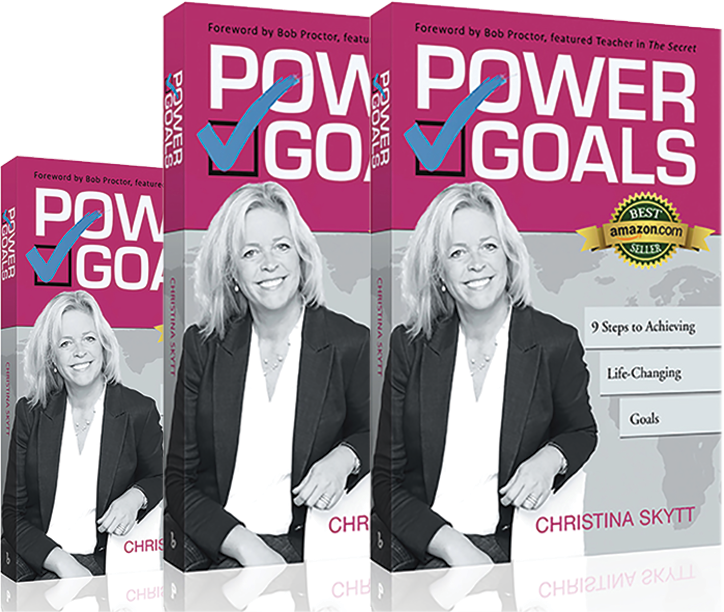 Christina Skytt guides you through a nine step process for setting and achieving big, life-changing goals – mapping out the starting point, setting powerful goals, creating a vision, addressing your pre-programming, assembling a supportive team, taking action, handling turbulent situations, maintaining a positive attitude, and celebrating the achievement of your Power Goals. My second book is co-authored with Mark Victor Hansen who is best known for creating Chicken Soup for the Soul books with more than 500 million books sold internationally, in 54 languages worldwide. BOOM contains nuggets from the specially developed results-oriented methodology which helps people take on greater challenges and produce breakthrough results. 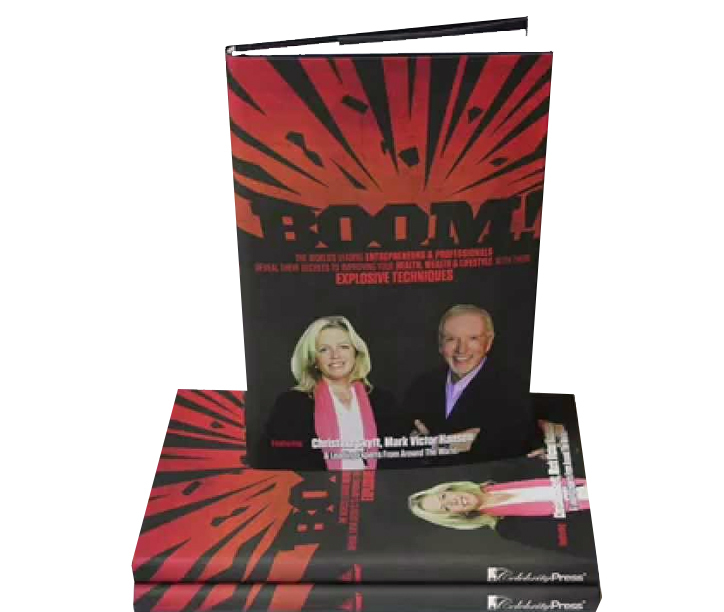 Read BOOM and get ready to transform yourself for success!